The café culture is here to stay, both in Singapore and overseas. It matters not whether you are a coffee and/or tea drinker (or neither) but that we slow down our pace and take time to catch up with our thoughts, family and friends. 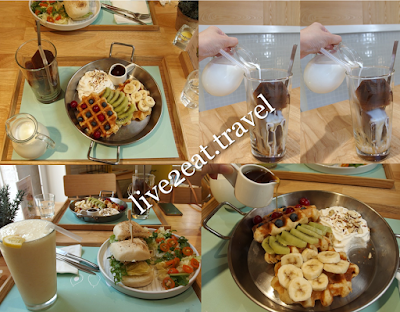 We may plan to visit a café, a particular one even, or just need a place to rest our tired feet. Sometimes, we chance upon a lovely café with a decent menu at a reasonable price. What better way then, than to sip a cuppa and watch the world go by while nibbling on small and not-so-small bites? 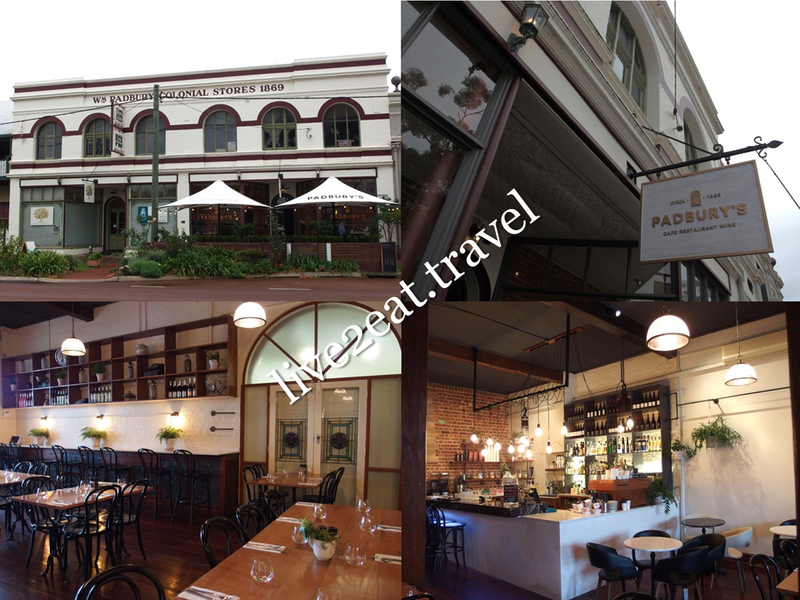 It was a planned trip to Padbury's Café Restaurant for breakfast. I loved its interior and exterior – one of the oldest surviving commercial and residential buildings in Guildford, built in 1869. 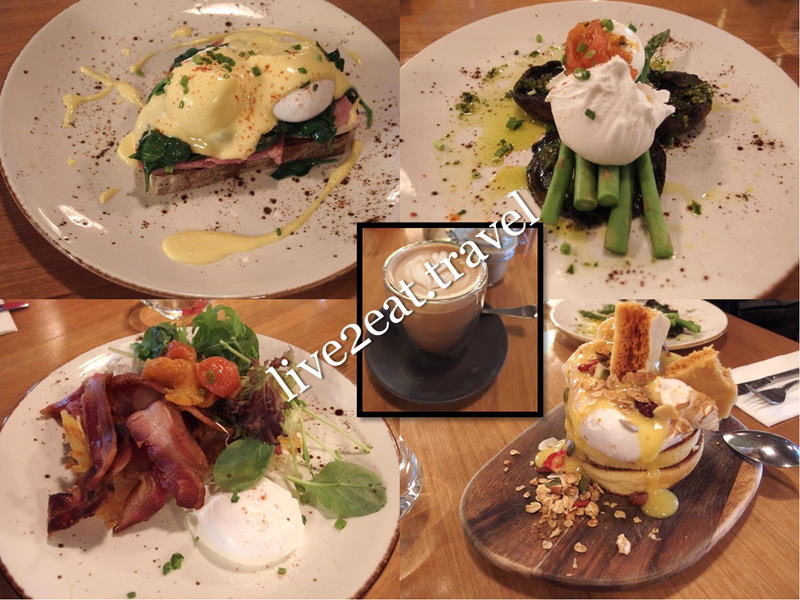 All the dishes we ordered were beautifully plated and deliciously fresh, from the sweet to the savoury such as Big Paddy's, Magic Mushroom and Padbury's Benedict. Of course, we had to order Our Famous Meringue Munro Pancakes. No complaints about the drinks and pretty latte art too. As my travel companions and I did not manage to visit Garosu-gil during our first trip to Seoul, we decided to do so during the second time. 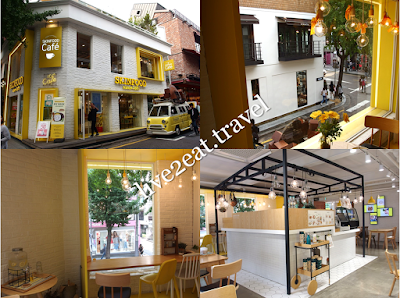 Chanced upon SkinFood Café located above its concept store and settled on the quiet space with cheerful yellow accents against wooden furniture, white bricked walls and tiles. Did not expect much of its food and drinks since this is a cosmetic and skincare brand but they tasted surprisingly decent, and were also Instagram-worthy. My travel companions and I penned down in our itinerary that we would café-hop at Yongkang Street, just like we did in Garosu-gil. We were still full from lunch at Kao Chi when we walked past Smoothie House and gave it a miss. Continued walking down the street, saw 8% Ice Bistro and chose this as the sky was threatening to rain. Lovely place to chillax with good gelato and dessert, and enjoy coffee as-is, iced or in powder form – pour from shot glass onto lemon slice and have them together.